SAN FRANCISCO, CA--(Marketwired - March 25, 2015) - Leap Motion and OSVR today announced that the OSVR Hacker Dev Kit will have an optional faceplate with Leap Motion's hardware and software embedded, making the HDK the first-to-market virtual reality headset with natural motion control technology integrated into the head mounted display. By merging the speed and accuracy of Leap Motion's hand tracking with the growing OSVR ecosystem, users will be able to create and interact with a wide range of supported content. "By letting the user connect directly with the VR environment, hand tracking allows virtual reality to be as natural and intuitive as interacting with the real world, giving the user a powerful sense of presence and immersion," said Michael Buckwald, CEO and Co-founder of Leap Motion. "We're pleased to partner with OSVR to bring our technology to the OSVR Hacker Dev Kit, helping developers enable the true potential of VR." The OSVR faceplate with Leap Motion will include the embedded Leap Motion hardware and the OSVR motion plugin software. Integrating natural, controller-free motion tracking with a virtual reality headset marks an industry milestone. 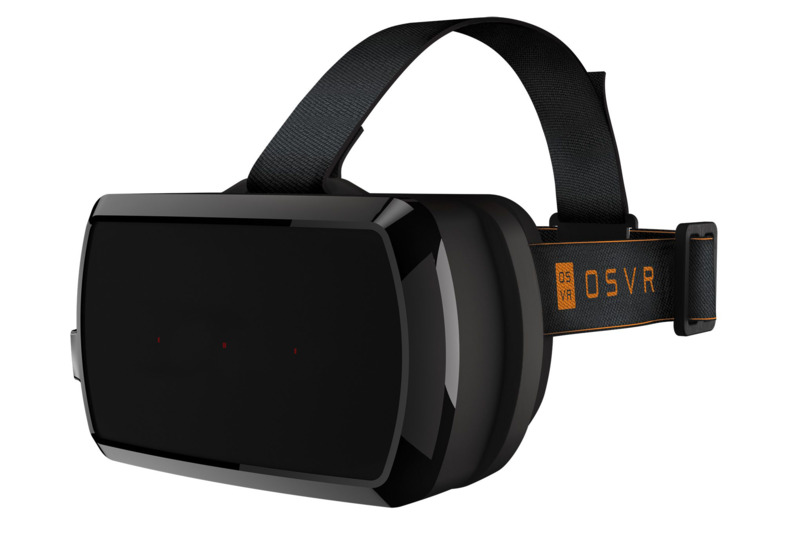 The OSVR partnership is the first in a future lineup of head mounted displays that will feature Leap Motion's technology built in. The importance of embedding motion control technology is twofold: developers can write code for a single platform that works across multiple hardware devices, and consumers get a consistently smooth experience. The integrated OSVR motion plugin enables support for multiple motion device types, in addition to Leap Motion. Leap Motion developers will be able to easily extend their existing Leap Motion VR applications into the OSVR framework. New developers that want to incorporate fundamental 3D motion input can count on a standard set of functions, such as six-degrees of freedom inputs (move in X, rotate around Y), and write experiences that are device agnostic. Leading game engines such as Unity and Unreal will be supported. Developers can also utilize the OSVR Imager Interface which provides access to the Leap Motion Image API. Developers can include video pass-through for other applications, opening up a wide range of possibilities for computer vision apps. "OSVR brings game developers, gamers and hardware manufacturers together to solve challenges and make VR gaming a reality for the masses. The highly modular OSVR Hacker Dev Kit plays a crucial part in that equation, allowing any kind of technology to be easily added to the HDK," said Christopher Mitchell, OSVR. "The Leap Motion faceplate is a great example of how immersive natural interactions in VR can be brought to developers and gamers alike." Developers worldwide can pre-order the HDK and the OSVR faceplate with Leap Motion through the OSVR web store in May; shipping will begin in June. Announced at CES 2015, OSVR is in the early stages of development. The OSVR platform supports a broad range of input devices, though Leap Motion will be the first motion-tracking technology to be integrated into the OSVR Hacker Dev Kit to provide hand tracking for a truly compelling and intuitive VR experience. This opens up exciting possibilities for Leap Motion's growing developer community, which includes over 160,000 developers in more than 186 countries. Following the 2014 launch of Leap Motion's V2 tracking software, capable of tracking individual joints and accounting for finger occlusion, the company continues to release significant software updates bimonthly. Developers can visit developer.leapmotion.com to ensure they have the latest build. Leap Motion™ is a software and hardware company developing the world's most powerful 3D motion-sensing technology. The proprietary technology, invented by co-founder David Holz, can track the in-air movement of both hands and all 10 fingers with incredible accuracy and no visible latency. The platform supports PC and virtual reality-based experiences. David Holz and Michael Buckwald founded the company in 2010.